The number of quests you need to do between each version of this quest is semi-random. 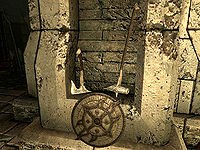 Dawnguard radiant quests come in cycles of up to seven (excluding Ancient Technology and Bolstering the Ranks). 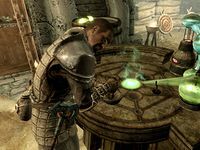 Each quest, including this one, will appear at most once per cycle, with A Jarl's Justice being an exception that may not occur in any given cycle. Therefore, there could be as few as five other quests between the first and last versions of this one, or as many as eighteen.